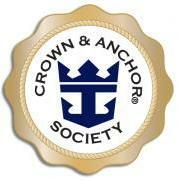 From now on, only Crown & Anchor members will be able to book future cruises on its ships with special bonuses available for rebooking onboard. The changes seem to be for the best, as of now. There were no indications that other benefits were being removed, so it seems as though Royal Caribbean is trying to simply entice their customers to book their future cruises with Royal Caribbean with these new benefits.